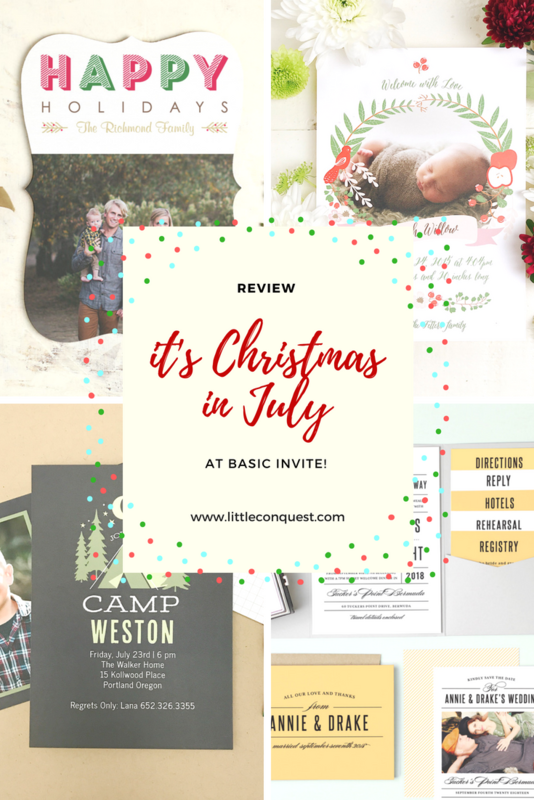 You are here: Home / Product / Review: It’s Christmas in July at Basic Invite! It’s Christmas in July at Basic Invite! 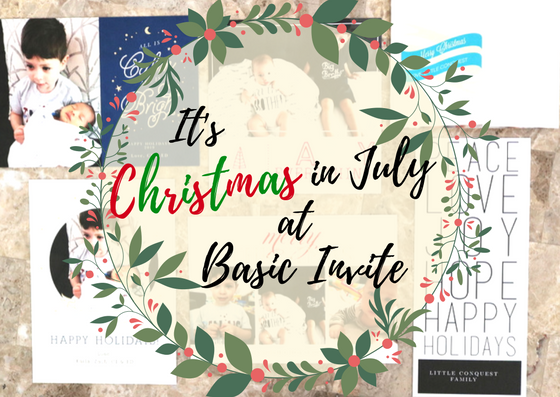 Yes, it is Christmas in July over at Basic Invite and if you haven’t heard about Basic Invite, you are missing out! 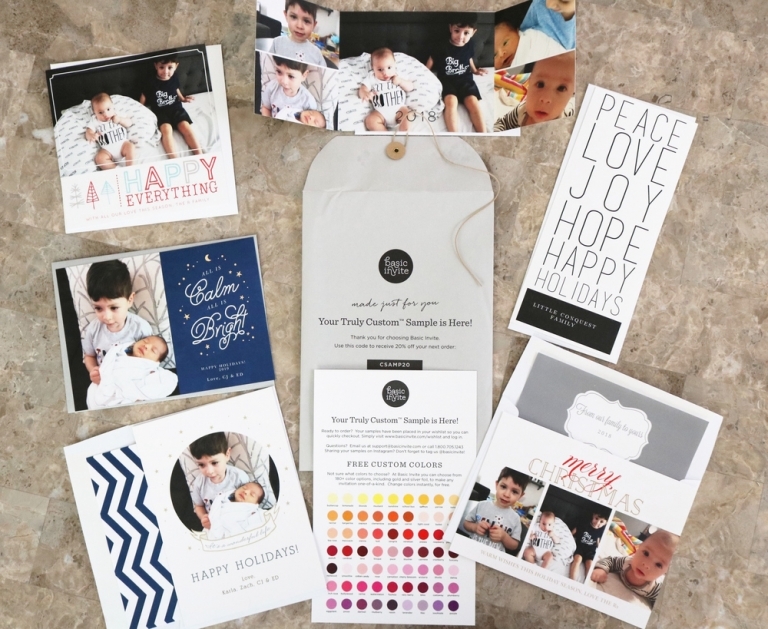 While there are a ton of greeting card companies out there, Basic Invite stands out with their product customizing flexibility. 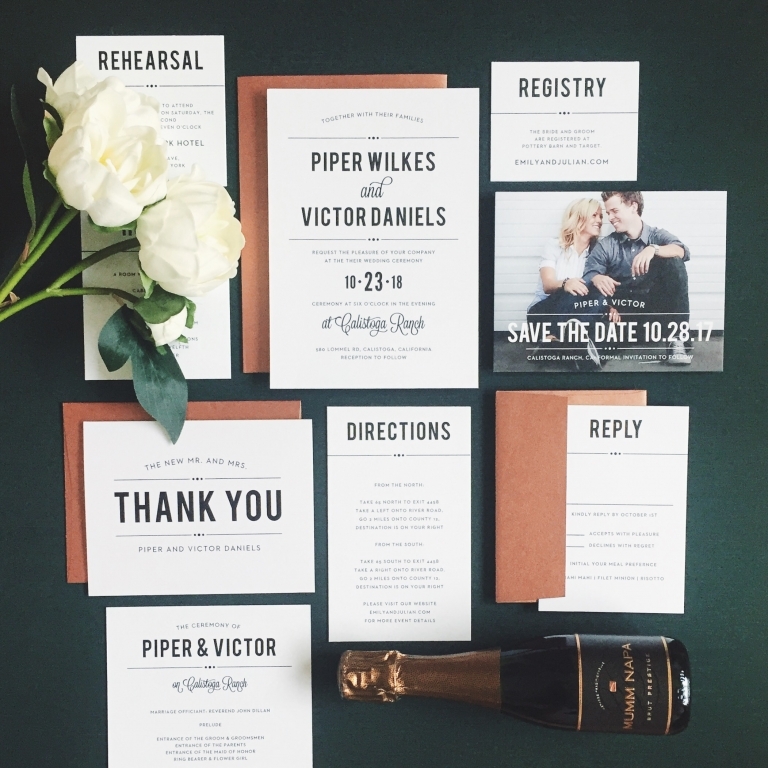 Basic Invite offers so much more than just beautiful card templates. Every card template is customizable! You can change the color of every element on any template. Their color options are so extensive, you can customize your card template to be exactly as your heart desires. No compromising here! Their font options are also very extensive. Everytime you customize and make a change, the online preview loads in real time so you know exactly what you are putting on paper. How awesome is that?! Not only is their website easy to navigate, but their customized design process is so easy to use. Just look at these gorgeous samples that just came in the mail! I AM IN LOVE! These cards are made with such great quality card stock and the print is so sharp! I am seriously a little upset I did not find them sooner! I seriously feel like I need all the exclamation points, guys! I was able to customize the back of the cards too! My favorite design is this Starry Night Holiday Card! They also have a great variety of foil cards in every category from which you can choose to have raised or flat foil! 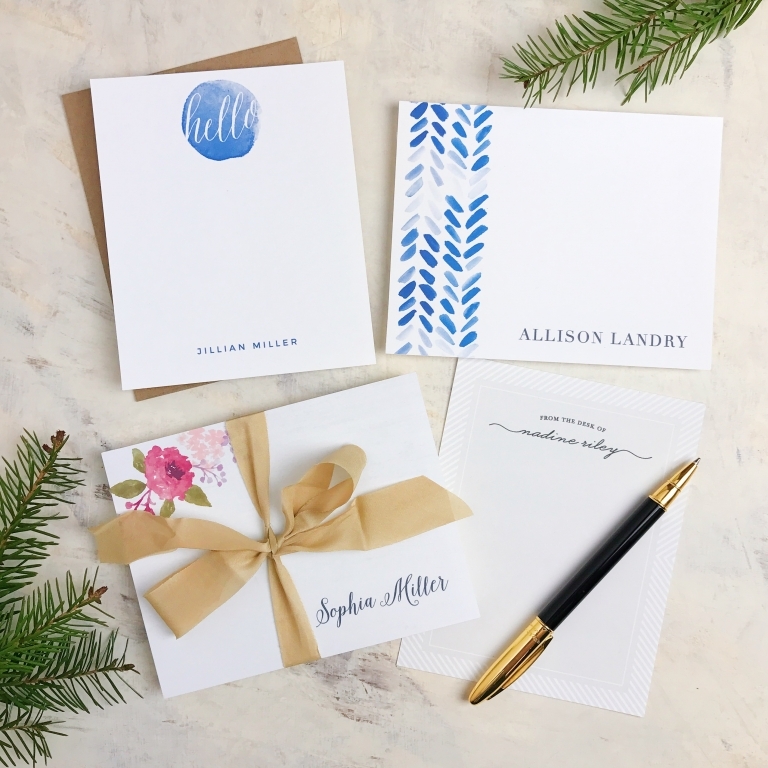 Aside from all these great card template customization options, even their peel and seal envelopes are customizable to be any color to make your masterpiece stand out even more. Talk about fancy! Basic Invite is on another level ya’ll! They have what they call “Address Capturing Service”, which means you can share a link to your social media to request your friends and family’s address which in turn get stored into your account’s address book! You can select recipients while working on perfecting your template, which is super convenient if you ask me. But it doesn’t end there! 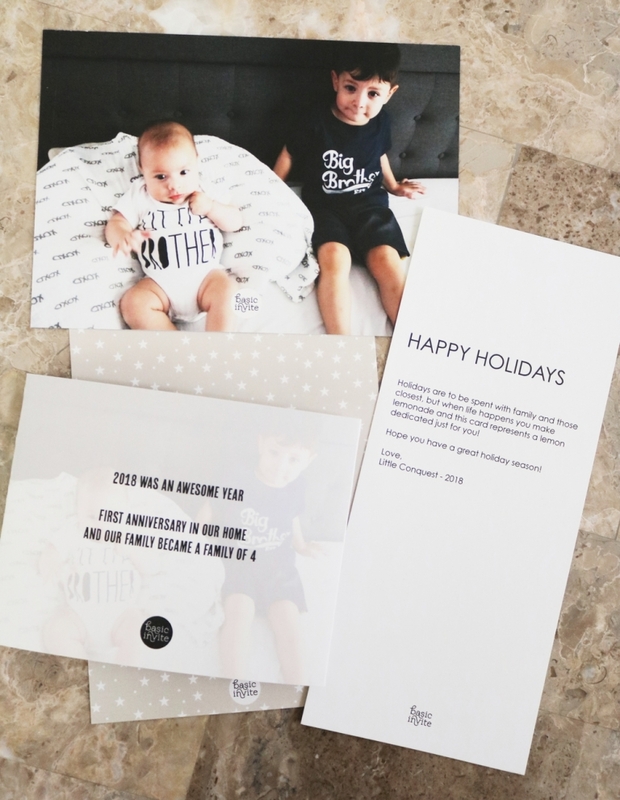 You can get recipient addresses printed on envelopes for FREE on all Christmas card orders! Whaaat… YUP. They went there. 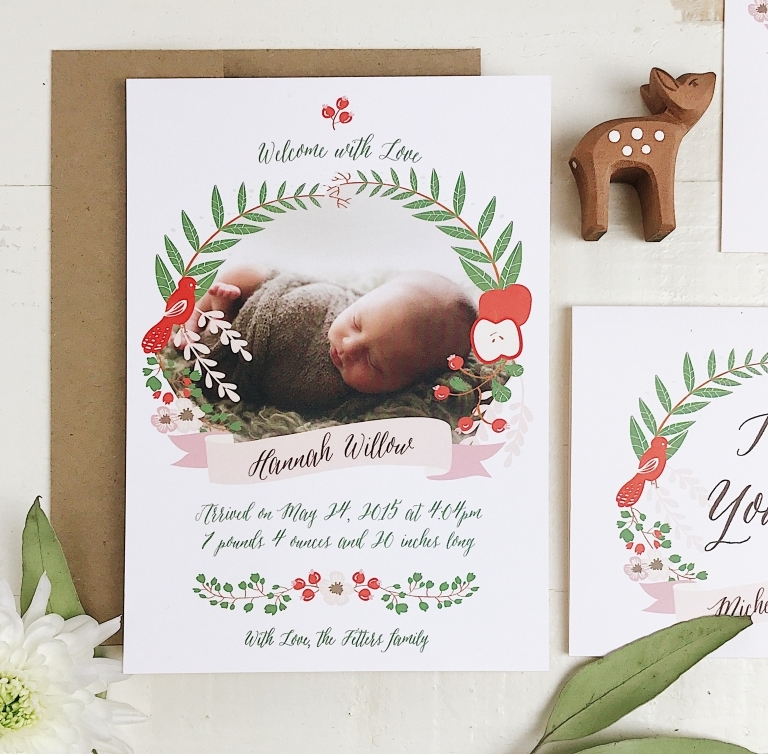 Aaand, to sweeten the deal as part of Basic Invite’s Christmas in July, they are offering 30% off holiday cards with code holi30. Boom, done, it’s over, take my money! 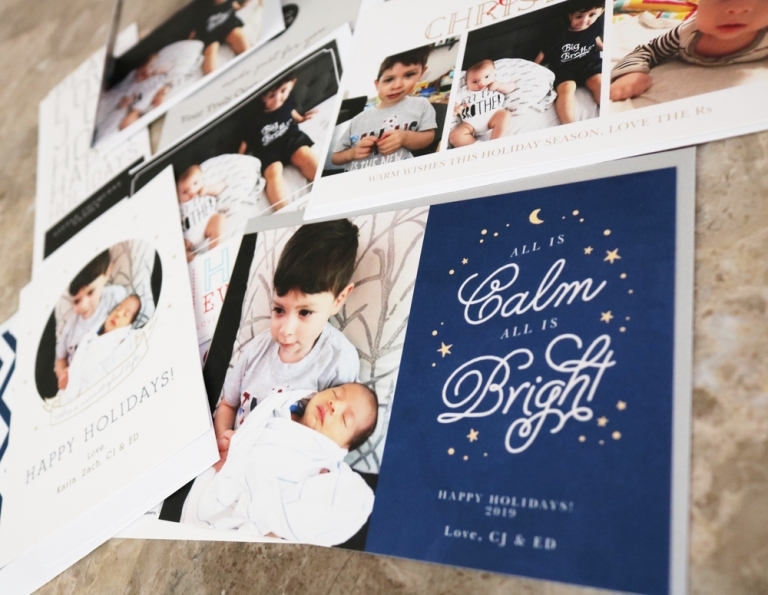 Visit www.basicinvite.com to get working on your Christmas cards today! You can also follow Basic Invite on Facebook, Pinterest, Instagram, and Twitter. These look beautiful! I really need to up my card game this Christmas and this looks like just the ticket! Wow! These are great products! Love this. Thanks so much for sharing!! I officially can’t wait until Christmas! I’m a sucker for personalized cards so these look like a great option! I’ve always been a fan of personalized cards. These look great! Thanks for sharing!